It’s about to get very busy for commercial business in the lower mainland, and because of that, you’ll need commercial carpet cleaning! With the holiday season right around the corner, foot traffic in restaurants, bars, and other commercial lots is about to increase tenfold. More people are wanting to celebrate indoors with their friends and loved ones, and they’ll be expecting the most clean and well-maintained spaces to do that in. It’s so easy to forget about commercial carpet cleaning, but ask yourself this: when was the last time your carpets were cleaned in your restaurant or bar? Chances are that it’s been a while, and that means that the amount of grease, bacteria, allergens, and stains building up in the fibers of your carpets are more than TRIPLE the amount found in a residential home. This takes away from the welcoming environment you’ve created for your customers, and gives them more of an inclination to look elsewhere for a place to entertain. Commercial carpet cleaning in Vancouver is beyond important. 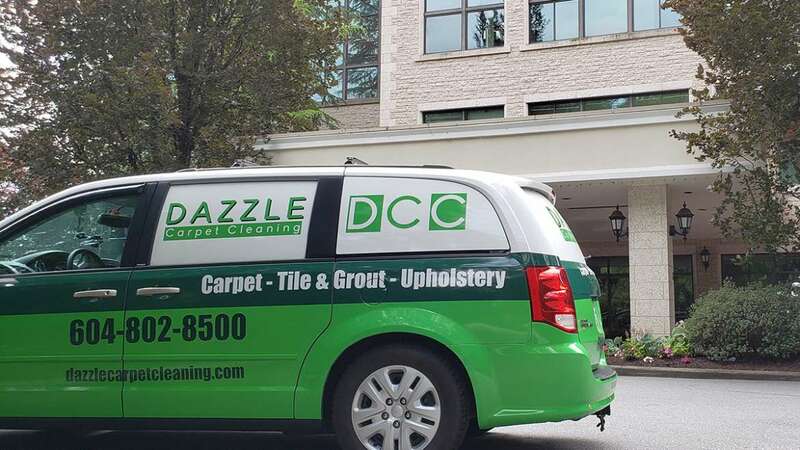 Dazzle CC can take years off of your carpets using our highly effective and eco friendly commercial carpet cleaning techniques. We utilize high heat steam and deep agitation to get to the root of any unsightly stains and even mold to guarantee a much for hygienic space for your business. We also understand that, as important as commercial carpet cleaning is, it can’t always be done during your busier working hours. Dazzle CC will work with YOUR schedule to arrange an appointment that suits you best. We’ll also provide you with a completely free onsite estimate for your commercial carpet cleaning, because we care about providing upfront and transparent pricing, whether it’s for a one-time commercial carpet cleaning or an ongoing monthly arrangement. All of our products are biodegradable, non-toxic, hypoallergenic, and contain no bleach or VOCs, or volatile organic compounds. We know that you care about what your customers are exposed to, and Dazzle does as well. CONTACT US NOW for a free estimate for commercial carpet cleaning, and be sure to stop by our Instagram too, to take a look at some of the commercial customers we’ve already partnered with. And most of all, #KeepItDazzle!